Experience a Long, Lifted & Defined Lash Transformation! Life-changing lash duo with extra-long extensions provide a bold, doll-like look that visually enlarges and widens eyes for a sophisticated day or dramatic evening look! 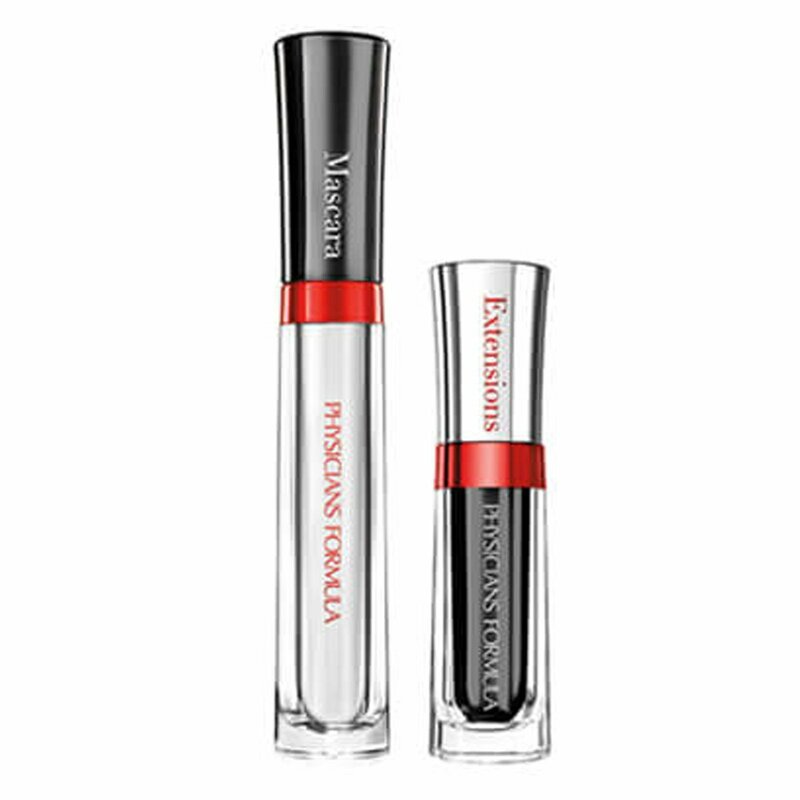 Mascara - Sweep Lash Boosting Mascara to prep for extensions & layer on lash boosting ingredients. Extensions - Gently tap brush to release any excess. Brush-on extensions to upper lash while mascara is still wet to Instantly lengthen & define lashes. 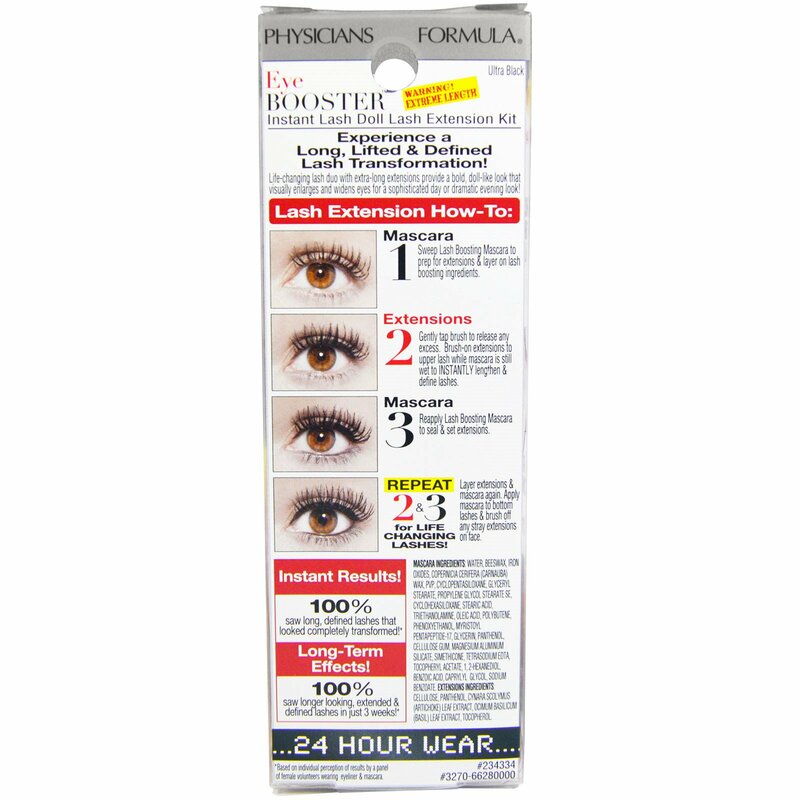 Mascara - Reapply Lash Boosting Mascara to seal & set extensions. Repeat 2 & 3 for Life changing Lashes! - Layer extensions & mascara to bottom lashes & brush off any stray extensions on face. Water, beeswax, iron oxides, copernicia cerifera (carnauba) wax, PVP, cyclopentasiloxane, glyceryl stearate, propylene glycol stearate SE, cyclohexasiloxane, stearic acid, triethanolamine, oleic acid, polybutene, phenoxyethanol, myristoyl pentapeptide-17, glycerin, panthenol, cellulose gum, magnesium aluminum silicate, simethicone, tetrasodium EDTA, tocopheryl acetate, 1,2-hexanediol, benzoic acid, caprylyl glycol, sodium benzoate. Extensions Ingredients: Cellulose, panthenol, cynara scolymus (artichoke) leaf extract, ocimum basilicum (basil) leaf extract, tocopherol.